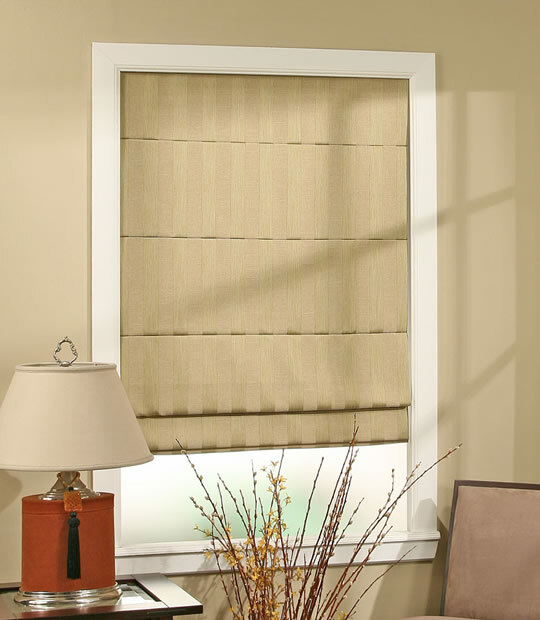 Give your windows the look of high-end custom shades at an great price and value. These shades will allow you to dress up your room in almost any fashion or style to suit your taste. Choose from our various textures, solids and bold colors, all of which are available in a variety of fabrics, spanning from cotton to 100% silk. This is a structured contemporary look that requires minimal dressing. Stay pockets on the back of the shade create pleats which look great with most fabrics. All fabrics look good with this style, but it should be noted that stay pockets do interrupt the prints. This shade stacks very efficiently due to the stay pockets. They also come cordless and top down bottom up for the ultimate privacy and viewing. All our shades comes with a standard liner. Warning: Plain style with Blackout Liner runs the risk of light seepage through the stitch perforations at the horizontal pleat. TO AVOID, choose SOFT FOLD style with blackout liner. The pleat size varies in body of shade depending on length ordered. Bottom pleat is always 6-1/4"